This year’s Reverse Thieves Secret Santa gave me the push I needed to watch a couple of things that I had on my radar for a while: Mamoru Hosoda’s 2015 feature film, The Boy and the Beast , and the Spring 2011 adaptation of Kazue Kato’s Jump SQ manga, Blue Exorcist . While these are pretty different stories, I didn’t go into watching them knowing they shared a theme – the sometimes contentious relationship between fathers and sons. Ever since 2009’s Summer Wars , I’ve been a fan of Hosoda’s films and have been working on collecting and watching the rest. The Boy and the Beast was a natural pick for me. A young boy named Ren, having recently lost his mother, runs away from home and stumbles into a fantastic world of beast people. He encounters the mighty and boorish Kumatetsu, who, desperate for a pupil, takes in the boy to train and raise as his own. In the interest of not spoiling the film, I’m not going into further detail. Let it be said that The Boy and The Beast won’t surprise you with any innovations in plot. However, the film succeeds in several dimensions of execution that make it stand out in a couple ways. I really liked the setting design and animation in this movie. The beast town of Shibuten, with its bazaars and beautifully lit nighttime terraces, feels evocative of the Middle East during the Medieval period. A broad range of landscapes and scenery during a travel montage lets the art team have a bit of fun with color and lighting, while their skill keeps that which could have been a lull fresh. Kumatetsu’s expressiveness and presence draw you in and make you forget that you probably know how the plot will end. To that point, noted screen actor Koji Yakusho’s performance as Kumatestsu truly brings the character to life. He finds a way to have range in what could, otherwise, have been a one-note character in lesser hands. Instead, Kumatetsu has different kinds of crankiness and anger that often convey a deeper emotional meaning. The art direction, setting design, lighting, and strong vocal performances build an emotional weight over the course of the movie. The story resolves in a satisfying and heartfelt ending that causes a strange blurring sensation in my eyes. 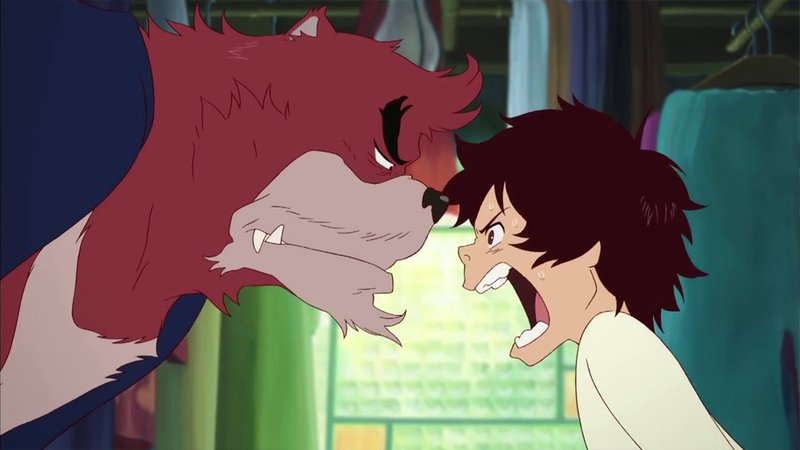 The Boy and the Beast succeeds as a film due to the sum of its parts. 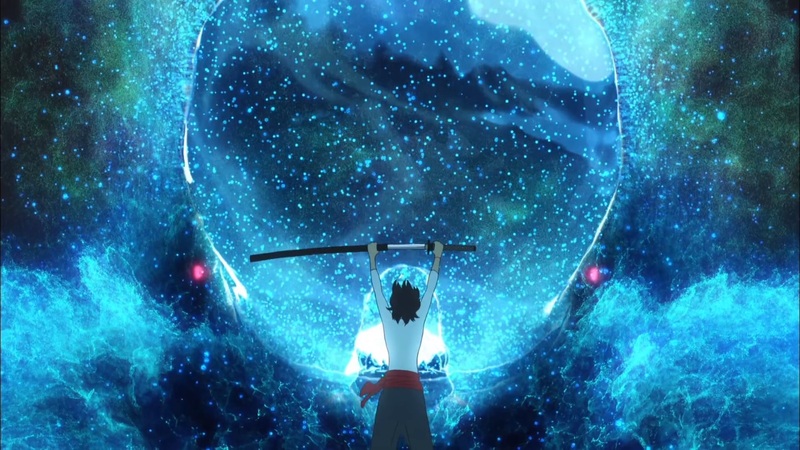 Hosoda continues to evolve as both director and creative force, and I look forward to his future works. Rin Okumura, a delinquent teen who can’t keep a job (or his temper), has no plans for the future. His fraternal twin brother, Yukio, an honor student soon to join the highly distinguished True Cross Academy, couldn’t be more different. One of them isn’t actually human…but a demon. Well, both are actually the sons of Satan. But only their adopted father, a powerful priest and exorcist, knows the truth. But not exactly. Yeah, OK, this is a shounen manga plot, and it’d be simpler for you to just go watch the first episode. So go ahead and watch it. I’ll wait. This series had a bit of buzz when it came out, and having watched it, I understand why. 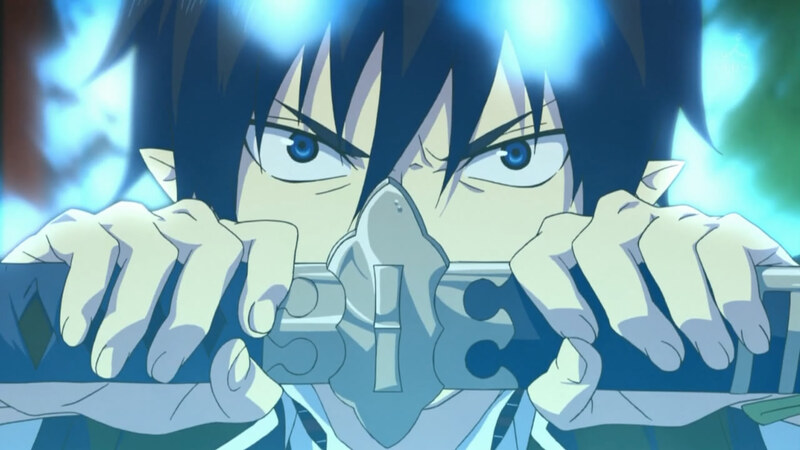 Blue Exorcist has many of the hallmarks of a good shounen anime: a boy with a mysterious power, strong action scenes, and implacable foes (to name a few). Beyond the basics, this show does a few things to stand out that are worth noting. I like that the school setting is rarely shown. Instead, the cast attends an “exorcist cram school” at the True Cross Academy. The cram school feels more like Hogwarts than high school, and this keeps the tone of the setting focused on supernatural action and not “who gets the yakisoba-pan today” type cliches. I also like the characterization of the cast. There’s multiple levels of tension between the two brothers, Rin and Yukio. Rin’s classmates each fill somewhat predictable stereotypes, but none of them have much power on their own. This leads to interesting situations where they have to be creative when fighting demons that Rin could otherwise defeat without any effort. The headmaster looks like a buffoon, because he has a hidden agenda and it’s unclear which side he’s on. Everyone in the show has just enough nuance to keep them interesting – even when the broader strokes of the plot seem predictable. 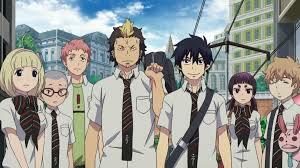 Blue Exorcist can fulfil any need you may have for a shounen supernatural action series, and it will do so better than many other offerings of the same kind. It’s also getting a sequel, the “Impure King” arc, which will debut in the coming Winter 2017 season, so there’s still time to catch up. I’ll probably be watching also. This review is based on a FUNimation BD/DVD release (Boy and the Beast) and a Netflix stream (Blue Exorcist).